Vocare is a leading provider of outsourced quality clinical healthcare services in the UK. We deliver safe and efficient clinical healthcare services in the community in close collaboration with the NHS. Our priority is to improve access to urgent healthcare and ensure patients receive the right level of care for their needs. We believe innovation and a true partnership with the NHS are the keys to a quality and integrated service. With our headquarters in North East England, we began operating as Northern Doctors Urgent Care (NDUC) in 1996, before expanding our operations in Staffordshire, trading as Staffordshire Doctors Urgent Care (SDUC) in 2012. This was followed by Bath and North East Somerset, trading as Bath and North East Somerset Doctors Urgent Care (BDUC), in 2014. We then expanded to Yorkshire, Somerset and East Leicestershire and Rutland in 2015, trading as Yorkshire Doctors Urgent Care (YDUC), Somerset Doctors Urgent Care (SDUC) and East Leicestershire and Rutland Urgent Care (ELRUC) respectively. 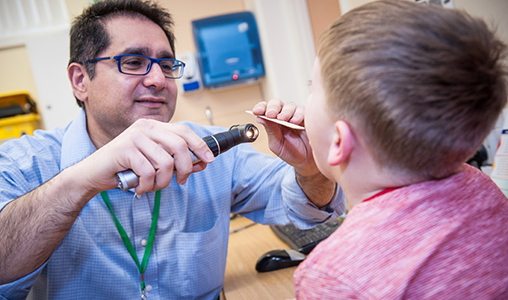 Today we deliver GP out-of-hours and urgent care services to more than 4.5 million patients nationally. We believe that our role is to deliver quality care and support the NHS in improving efficiencies and services. Vocare Ltd. is a private limited company. Company registration number: 09933257. Being reliable – we understand that the NHS needs a ‘safe pair of hands’ to deliver care that supports GP practices and hospitals. A quality service – when it comes to patient care, quality cannot be compromised and consistency is key. Respect – a true partnership with the NHS and local healthcare providers is the recipe for success. Being an organisation you can trust – our track record of delivering high quality care has seen our services expand across the UK. Integrity – we have exceptionally robust governance arrangements with transparency and openness at their heart. Timeliness – we are adept at mobilising new services in a timely manner. We see ourselves as part of the solution in providing clinically-led services and 24/7 urgent care when patients need it. Innovation – our unique and highly innovative systems and processes ensure a wholly integrated approach. For more information on how we are supporting patients in communities, visit Services.